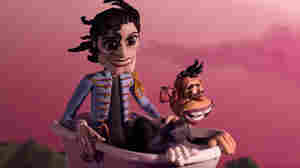 June 3, 2016  For this week's +1 podcast, Lennon discusses working with Les Claypool, their new album and a famous pet chimpanzee. April 20, 2014  Sean Lennon has made one of the best recordings of his career, with help from bassist, singer and partner Charlotte Kemp Muhl. The two follow their acoustic debut with a fabulously fuzzy rock album. March 19, 2014  Our hosts are joined by Stephen Thompson to discuss the best musical discoveries from the musical blitzkrieg that is SXSW. From hard-driving Korean rock to joyful electronica. October 17, 2010  Together, Sean Lennon and Charlotte Kemp Muhl have produced a finely calibrated mix of blissful psych-pop, complete with sweet two-part harmonies and wistful, wandering melodies inspired by '60s French pop. Hear their new album in its entirety until its release on Oct. 26. 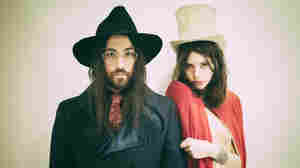 October 26, 2010  Sean Lennon, son of The Beatles' John Lennon, makes whimsical pop with his partner, Charlotte Kemp Muhl. September 21, 2010  Sean Lennon and Charlotte Kemp Muhl specialize in an intoxicating blend of avant-garde and pop sounds. Listen to live performances of songs from the duo's upcoming album, as well as an incredible interview with Spinning on Air host David Garland.